DIY Durability. Digital coating protects media and offers specialty finishes.. Coating offers extra protection, ensuring durability for applications like packaging and direct mail. In addition, spot coaters provide a profit opportunity by enabling specialty finishes and effects. Whether the print needs to withstand the mailstream or enhance marketing materials, coating plays a role. DPS magazine explores the advantages of using a digital coating device, as well as the differences between inline and offline coaters. Cost is one key reason for in-house coating devices. UV coating offers similar benefits to lamination, but is more cost effective, says Kevin Chen, product manager, Duplo USA. “That is one of the reasons why more customers are purchasing UV coaters instead of laminating machines,” he observes. The cost of coating varies depending on the device and the output size, but most vendors estimate the price at a fraction of a penny per 11×17-inch sheet. “Printers easily generate additional revenue through up-charging for a variety of coatings to be applied over a print,” notes Joshua Bingham, marketing manager, Harris & Bruno International. Spot coaters also generate strong profits. Some manufacturers estimate margins of up to 100 percent. When a print is spot coated with raised texture, the markup is up to 300 percent, according to Kevin Abergel, VP sales and marketing, MGI USA. “Our customers can charge a very high premium for custom spot-coated pieces—especially for 3D raised physical touchpoints,” he says. Coating can also improve ink adhesion and the overall quality of the print. “Higher gloss coated media has a tighter surface area and coating has less opportunity to dive into the fibers of the sheet. Therefore it remains on the surface of the sheet and better reacts to the UV curing process,” comments Chris Harrington, director of sales, North America, Graphic Whizard. Coating allows print providers to handle a broader range of services, such as output that will enter the mailstream. “Even with advancements in coated media, post-print coating is still necessary to protect digital print, which is has low rub characteristics. 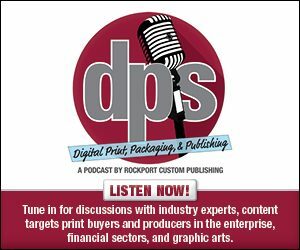 Post-print coating is vital to packaging applications or printed materials handled in the mail system,” explains Mike Barisonek, VP, sales and marketing, Epic Products International. Digital coaters offer finishes ranging from matte to high gloss. The variety allows print providers to meet client demands. For example, some coating devices provide a tactile finish—a softer touch that appeals to customers. High gloss is also a popular choice. “Many packaging and retail merchandisers use this method to get the consumer to look at their product first. For flyers and advertisement pieces, it enhances the imaging of the print,” points out Albert Nuño, director of sales, American Ultraviolet Coating, LLC. Abergel suggests print providers select media carefully to maximize the benefits of coating. This will ensure they’re using substrates that don’t absorb too much of the coating, and perform best with their ink set. “Media can play a big part to ensure that the final piece is not only spectacular, but simple to produce, durable, and hassle free. Choosing the right media will help produce repeatable work and satisfied clients,” he notes. Spot coating enables prints with metallic finish, tactile results, embossed foil, and other embellishments. With these capabilities, and the trends of personalization and shorter runs, spot coating is an investment that pays off, suggest Yariv Bustan, product marketing manager, Scodix. “Differentiation is essential for the success of commercial printers,” says Bustan. Inline and offline coaters each have their benefits, and many devices are available for either setup. Inline devices perform well with long runs that require little handling, including jobs with variable data. “When the work lends itself to a single-side, no touch workflow with minimal paper size, and paper weight changes, inline coating is ideal,” observes Barisonek. The touch-free aspect of inline coating makes it a good fit for smaller shops where a single print engine connects to the coater. “Combining printing and UV product enhancement helps cut costs in labor by only having to use one or two employees to run the press and coating lines all in one pass,” explains Nuño. However, small shops aren’t the only ones that benefit from an inline solution. It reduces waste, which appeals to print providers of all sizes. “Connecting inline eliminates picking up the printed sheets and loading them onto the feed tray of an offline coater,” says Chen. He adds that inline solutions have gained in popularity in the last two years, which he attributes to new features such as the ability to offer two-way communications that prevent production interruptions. Offline tends to be a popular choice for print providers coating output from multiple print engines, or typically handling longer runs. Offline coaters are also helpful when using multiple types of coating. “Near-line or offline coaters are ideal for digital printers wishing to apply a variety of coatings without tying up the press. This solution is also good if prints from multiple presses require coating,” notes Bingham. In addition, hybrid shops can use offline devices with offset printers as well as digital equipment, points out Abergel. Coating capabilities provide an added level of durability that’s sometimes needed for a range of applications. Offline and inline devices cater to different needs of a print provider, but both configurations offer a cost-effective way to finish the job.